sounds like ***..good luck?i have proof do you? i have proof do you? We have released the raw video file of the PROOF findings we found & whatbnots. This video evidence is unrefutables and the samples acquired are sani-sealed down in the Team Yancy bunker as I am typing this out and such. Plus --- theres more to this --- stay tuned. Yancy speaks via "YipeApp" while on the road re. 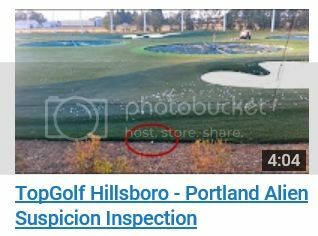 the ongoing TopGolf PDX Sasquatch. There is now new footage just released from the grand opening party that will change everything and whatbnots!